We are passionate about regular exercise and the benefits that it can bring to our lives. In a former life we were both local government officers by day and in our leisure time enjoyed club road running and racing, including half and full marathons, as well as swimming, hill walking, gym, cycling, tennis, golf…. Nordic Walking is brilliant for you to become fitter, perhaps lose some weight and be more toned, and have fun whilst walking in the great outdoors with a group of like- minded individuals. If you’ve not tried it before come along for a taster. If you have completed the Learn To NW course or an experienced Nordic Walker come and give our group walks a try. Taster sessions are held at Stanwick Lakes on the last Tues&Thurs pm of each month. Contact us for details of this or to arrange your own taster at for a alternative date / venue . The 45 minute taster session will leave you feeling energised and keen to get started. The level of walk is always determined by the leader on the ability of participants at the start of every walk. RNW Group members receive a weekly update by email of our regular and special walks. Friday AM - at Stanwick Lakes Visitor Centre to 5.5 mile, optional stop for refreshments in the Visitor Centre cafe. 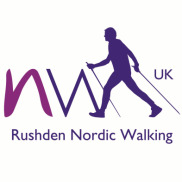 Please contact me by phone or email for more information or to book your Nordic Walking session.